BASSETERRE, St. Kitts, May 28, 2018 (Press Unit in the Office of the Prime Minister) – The Prime Minister of St. Kitts and Nevis, Dr. the Honourable Timothy Harris, joined his fellow CARICOM Heads of Government in congratulating the Honourable Mia Mottley QC on being appointed the Prime Minister of Barbados, making her Barbados’ first female head of government. 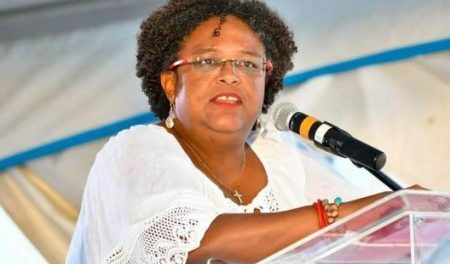 Prime Minister Mottley assumed leadership of the country after the Barbados Labour Party (BLP) which she leads, recorded a crushing landslide victory in the general elections on Thursday, May 24, winning all 30 seats, and unseating the Democratic Labour Party (DLP), headed by Freundel Stuart. Prime Minister Harris highlighted that gaining all 30 seats, which is unprecedented in Barbados’ electoral history, is no simple feat. “It speaks to your sterling leadership and ability to inspire the members of your party, and indeed the people of Barbados,” he said. 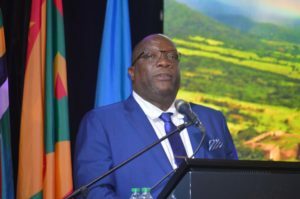 My Government “looks forward to working with you bilaterally, regionally and globally, as we tackle the issues which threaten to stymie our collective growth and development,” Prime Minister Harris said. The Honourable Mia Mottley was sworn in as Barbados’ eight prime minister on Friday, May 25.